It should come as no surprise to Co-Optimus readers that I am an old school gaming geek. Apparently, this fact is obvious to my neighbors as well. Perhaps it was all the summer afternoons spent outside (playing my DS), or my wood working projects (building an arcade cabinet), or all the discarded "full band version" game boxes that tipped them off. Whatever the reason, a few years ago, a neighbor offered my wife a Super Nintendo with two controllers and five games, all for $25, before it went into their garage sale. My wife nabbed it, and I was a happy classic gamer that entire day. One of the games in that lot, Donkey Kong Country, was easily worth that price by itself. 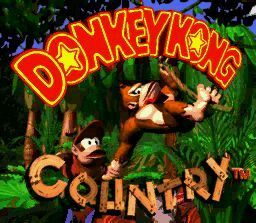 I'm ashamed to admit I'd never played Donkey Kong Country when it was first released. My original, long-lost SNES was used mainly for fighting games and RPGs, and I never had a chance to play it. After just a few moments playing Donkey Kong Country, these many console lifespans later, I began to regret this oversight. Donkey Kong Country has incredible graphics, smile-inducing gameplay, and more charm than you can shake a banana at. It even has a co-op mode, though it's one that's a bit lacking. You will not play a better looking game on a Super Nintendo, with the possible exception of other games in the series. The craftsmen of Rare really outdid themselves for this game. Like Killer Instinct (a visually striking Rare arcade fighter), Donkey Kong Country used pre-rendered 3D graphics. Basically, the character animations were all captured from 3D models, and converted into sprites that the SNES could handle. It wasn't true 3D, but it looked like it was. Quite simply, there as nothing like it on any home console at the time. Even by modern standards, the game is acceptable, and quite pleasant to look at. Gameplay is composed of some particularly excellent platforming. Swinging on vines, climbing the rigging of ships, swimming underwater, and all sorts of other variations keep things fresh throughout. I've never been a huge fan of platformers, but Donkey Kong Country was quite enjoyable nonetheless. The levels have checkpoints spaced out perfectly, not too easy, and yet not so frustrating that you'll toss your controller, either. The enemies are repetitive, but that was par for the course back then. I'm sure thar Rare crammed in as many different enemies as they possibly could; you get the feeling that Donkey Kong Country is packed full of as much stuff as the SNES can handle. 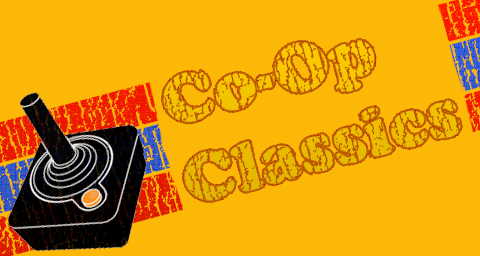 Donkey Kong Beats Mario, As Far As Co-Op Is Concerned? E3 2010: Donkey Kong Country Returns With Co-Op! Page created in 1.7050 seconds.